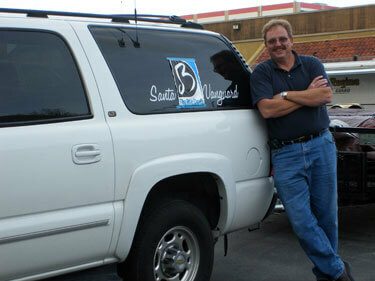 Blue Devils & SCV volunteer Terry Maurer, "Don't be afraid to ask, 'What can I do to help?'" April 23-29 marks National Volunteer Week. DCI.org takes a look this week at just a few of the many personalities that spend their time volunteering with drum corps. Contact any of the many drum corps out there to find out how you can become a volunteer. Name, hometown: Terry Maurer, Concord, Calif. Which corps do you volunteer with, how did you get started and how long have you been at it? I am currently working with Blue Devils and Santa Clara Vanguard. I got my start in 1985 driving buses for the Blue Devils B corps. What kind of work do you do with the corps? In 1986, I became the fleet manager for Blue Devils, to help contain costs and improve the reliability of the equipment. Later that year, I became a board member, where I served for five years. Since then, I served in various roles, all pretty much centered around driving, fleet maintenance and capital improvement. I started working in Santa Clara in 1992, and today divide my time equally between the two corps, mostly behind the scenes with maintenance and driving chores. What is your favorite part of being a volunteer? Wow tough question, because there are so many answers. Helping the members and staff. Working with and bonding with "driven" volunteers and staff. Making each tour year a little better by improving the equipment. Playing a small part in helping mold our future leaders. What is the most difficult part of being a volunteer? Not being able to take enough time off of work to do an entire tour, and early morning cold showers after driving all night. Do you have any favorite memories or anecdotes from your years as a volunteer? Spending the night waiting for the tow truck in "Bus 15" with Rick Valenzuela (Groundhog Day). Blue Devils drivers inventing fish tacos before they became common. Working for Gail Royer on his final tour with SCV. Many years of starting a conversation with Scott Johnson by saying "Scotty-me-Man!" The "Mau-Mau" radial (an honorary wheel to commemorate my obsession with freshly painted bus rims). Too many more to mention! What are you most looking forward to during the 2006 season? Being back in Madison for finals. Wishing Phantom well in their anniversary year. Watching Jeff Pearson living his dream as first-year director of SCV. Seeing how Wayne Downey adapts to an easier tour schedule. "Faust." "Moto Perpetuo," "The Godfather Part Blue," and many, many more! What advice do you have for those who would like to get involved as a volunteer with a corps? Don't be afraid to walk up to any corps and ask, "What can I do to help?" No matter how little time you have to give, and no matter what talent you bring to the table, we need your help! Volunteer today! If you enter the volunteer world with the right attitude, you're bound to be rewarded for your efforts a thousand times over, with sincere gratitude from staff and members alike. Add anything else you'd like. I started volunteering back in 1985 to hopefully give back what I received from the activity in previous years of marching in upstate New York. It's also very difficult to talk about what I do, because my love for the organization makes it seem almost effortless. I have so much respect for the dedication these young men and women display year-in and year-out to perfect their performances. As a society, we all too quickly reflect on the negative aspects of life surrounding us, and forget to see groups of young people, such as these DCI performers, who give every ounce of energy and passion to perfect their art for us. What a wonderful testimony for our future leaders.